Do I need an Instant Boiling Water Tap? Speed is everything in today’s fast-paced world. Many of us are obsessed with instant results and it seems that everything seems to be changing in that way. We’ve seen the best a kettle has to offer, but if you are thinking of something that can do better, look no further than an instant boiling water tap. Think of it. 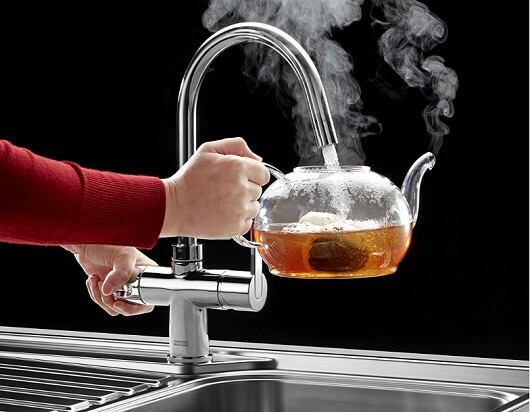 Your cup of tea could be ready in seconds, thanks to an instant boiling water tap. Not to mention that boiling your rice, pasta or blanching vegetables could be done right away without having to wait on your kettle or cooker to prepare hot water for you. 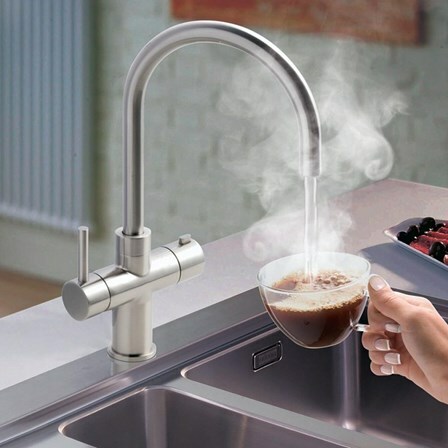 There is a lot more too that you can expect from such an ingenious invention and our article takes a look at some compelling reasons why your kitchen should have a hot water tap. 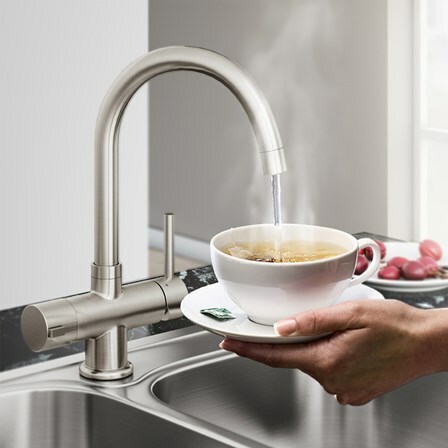 Just like every other modern appliance, a hot water tap has a neat and elegant look. 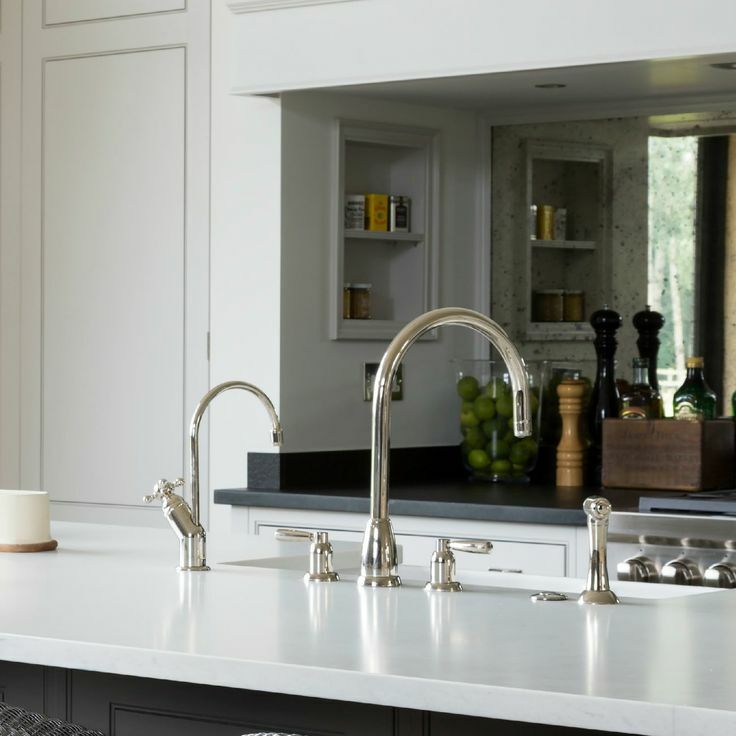 Even though they look almost identical to a typical tap, their uniqueness is what any modern kitchen needs to emphasise its elegance. 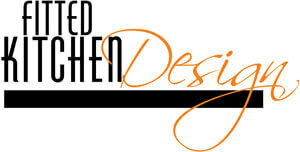 Many come in different finishes to suit the different kitchen designs available today. The thought of having hot water instantly gives one so much flexibility. If you have to rush somewhere, the tap can help you to save time and therefore, speed you on your way. In the case of an office kitchen, the idea that you can have your tea ready in no time and get back to work has been welcomed by many. You can have the hot water tap fixed into the worktop and best of all, it can work well alongside the other taps in your kitchen. If you have an existing kitchen, all you need to do is simply add it or uninstall your entire tap system and replace it with an all-in-one set that comes complete with a hot water tap. Research shows that boiling a kettle a couple of times in a day costs a lot more than keeping the water inside the hot water tank hot. Note that kettles naturally consume a lot of energy and cost more to run since they are mostly over filed and a lot of heat is also lost through their body. Unlike other water-heating appliances such as kettles, a hot water tap doesn’t have intricate wiring that could be a safety hazard to children. In fact, the power switch is usually placed far away from the safety levers that you use to open or close the tap, making it safe to use at all times. Maintaining proper hygiene inside your kitchen should be a top priority. Some hot water taps come complete with filters able to filter out chlorine taste, odours, sediments, and other potentially harmful elements that could be present in the water. The popularity of an instant boiling water tap in the home and office kitchens is a testament to its effectiveness. Remember, there are different types of instant boiling hot water taps designed to suit different needs and styles and so it’s not difficult finding one that suits your specific needs. Once you have it in your kitchen, you will never regret it.